At the Table (with Austa) sits down with Pizzeria Paradiso’s Executive Beverage Director and beer connoisseur, Drew McCormick. 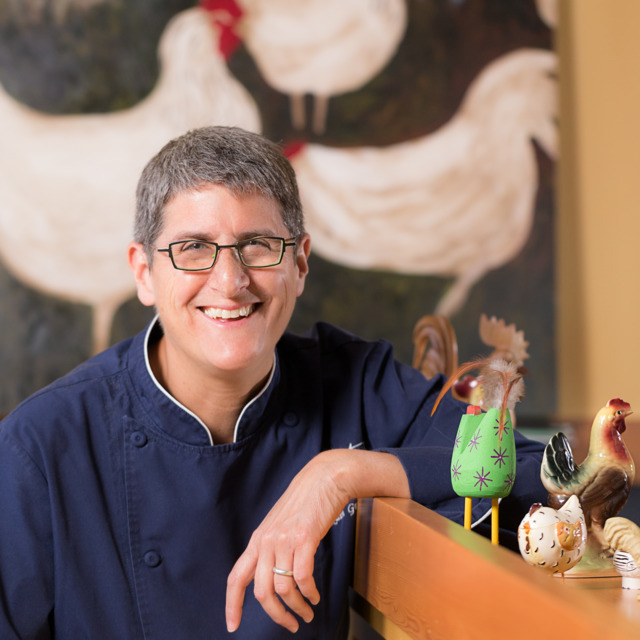 WUSA features Chef Ruth Gresser as part of Women’s History Month. Chef Ruth Gresser and the Pizzeria Paradiso team work and laugh together in this GrubHub video. Founded on the spirit of laughter, Pizzeria Paradiso is built on a core of respect, generosity, collaboration and FUN! The Paradiso Community is Celebrating! Pizzeria Paradiso Founder, Chef and Owner Ruth Gresser has been named a 2019 James Beard Award Semifinalist in the category of Outstanding Restaurateur! After last year’s elections swept a record number of women into office, they’re finally getting some dough. Literally.“ I’m sure there would be many people who would say that there shouldn’t be any politics in pizza,” said chef Ruth Gresser, who owns D.C. mainstay Pizzeria Paradiso. But that hasn’t stopped her from creating a yearlong homage to women who lead. Each week, all locations of the Neapolitan-style pizza shop will serve pies inspired by states with women in power. This week, for example, diners can try a "New York Super Bowl Pizza" with Buffalo tomato sauce, chicken, light gorgonzola, and fontina ($15 for a 9-inch and $20 for a 12-inch pizza). The fifth Pizzeria Paradiso location boasts everything fans have come to expect from Ruth Gresser’s 27-year-old pizza-and-craft beer chain, with the added bonus of extra room. Spring Valley was a natural place for the owner of one of the area’s most popular chain-lettes to open a fifth branch. DC Brau Keller Pils. Soft mouthfeel, beautiful Noble hops – and there is just something about that blue color on the labels I really love. Quaffable, crushable, sessionable. Long live the craft lager. Pizzeria Paradiso will be opening its fifth and largest location this November. Guests can expect the same beloved menu, equipped with a menu full of neapolitan pizzas, salads, and appetizers. Pizzeria Paradiso’s biggest location to date is expected to arrive in Spring Valley later this month, bringing the neighborhood near American University a new source for wood-fired pies with a side of arcade games. One of the great things about D.C. is that everyone ends up here for different reasons. Pizzeria Paradiso – a living, breathing minotaur, conveniently located in four (and soon-to-be-five) locations. Next up: a 120-seat Paradiso coming to DC’s Spring Valley neighborhood near American University this fall. 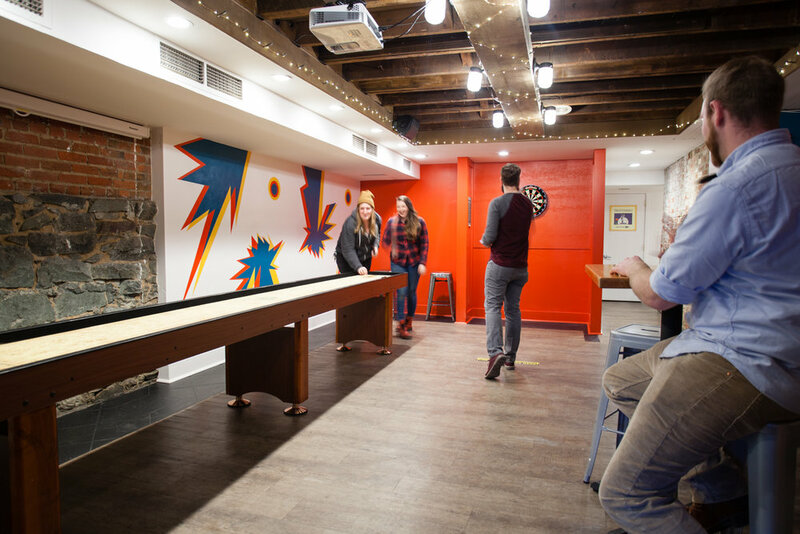 Homegrown chain Pizzeria Paradiso is getting more playful as it matures, replacing the subterranean beer bar at its 16-year-old Georgetown location with a new gaming mecca packed with Skee-Ball, pinball, and video games. Chef/owner Ruth Gresser of Pizzeria Paradiso and her team debuted Paradiso Game Room, located in the downstairs bar of Pizzeria Paradiso Georgetown with nine arcade games, a jukebox, happy hour, an canned beer menu, and the ability to order Pizzeria Paradiso’s classic Neapolitan pizzas.